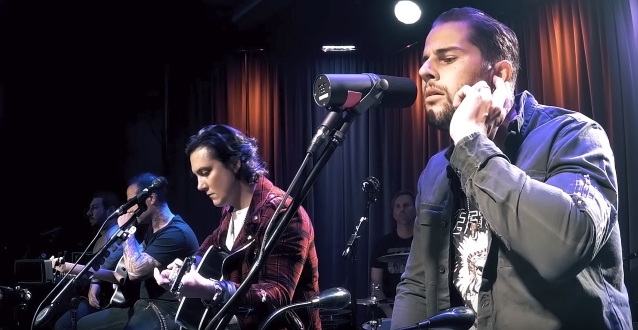 AVENGED SEVENFOLD's Grammy Museum performance of "So Far Away" can be seen below. The recording is taken from "Live At The Grammy Museum" (Capitol), a special acoustic album recorded during the band's October 19, 2017 sold-out event at the famed Grammy Museum in downtown Los Angeles. 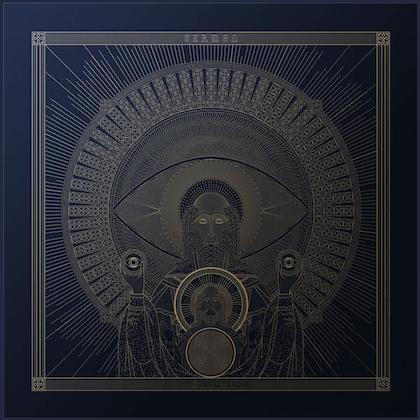 Produced by Joe Barresi (QUEENS OF THE STONE AGE, TOOL, NINE INCH NAILS) and the band, the digital-only release features unique renditions of new songs and classic tracks captured during the first-ever acoustic performance by Grammy nominees AVENGED SEVENFOLD. A portion of the album's proceeds will benefit the education initiatives of the Grammy Museum, which seek to inspire youth to the enduring qualities and cultural significance of music. Presented as "An Evening with Avenged Sevenfold," the event was held at the Museum's Clive Davis Theater and featured an intimate conversation about the band's career and new music, moderated by Los Angeles Times pop music critic Mikael Wood. The interview followed a stunning acoustic performance from the band (backed by a string section) and saw the quintet (vocalist M. Shadows, guitarists Synyster Gates and Zacky Vengeance, bassist Johnny Christ and drummer Brooks Wackerman) discussing their latest release, "The Stage". "The Stage" was re-released as a "deluxe edition" in December 2017.